Dennis & SISIS At GIS: Dennis & SISIS have announced that they will be in Texas on February 7-8 to exhibit at the Golf Industry Show (GIS) at the Henry B. Gonzalez Convention Center. Over recent years Dennis & SISIS have enjoyed huge success at GIS and this is set to continue at the show in 2018. 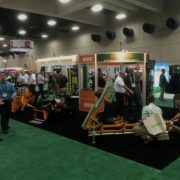 Visitors to the Dennis & SISIS stand (booth 22112) will be able view and find out more about the British manufacturers’ leading range of world-class turf maintenance equipment. The SISIS Veemo HD is a tractor-mounted de-thatcher used for removing thatch from large areas of turf, such as golf course fairways. The Veemo’s strong cutting blades are designed for minimum surface disturbance and maximum thatch removal via three floating heads which are independent from the main frame. The Veemo HD has been built following the same concept as the Veemo MK2 but with some enhancements such as more powerful hydraulics, increased pressure/power and twin oil coolers to improve the cooling process in hot climates. The SISIS Rotorake 600 HDX is a superb thatch remover for regular routine use when used at a shallow setting, but with the capacity to work deeper where severe thatch problems occur. A range of interchangeable blades are available for year round use. The HDX incorporates the well proven SISIS Rotorake contra-rotation principle, whereby the reel rotates at high speed against the direction of travel. The blades therefore cut upwards continuously throwing the thatch forwards rather than pushing it into the surface. The SISIS Javelin Aer-Aid 1500 is tractor mounted vertical action aerator. This popular machine injects air directly into the root zone speeding up the aeration process, moving air uniformly throughout the root zone for complete aeration and not just where the tines have penetrated the surface. Those operating the Javelin Aer-Aid have the flexibility to alternate tines for other operations such as hollow coring prior to top dressing. Other benefits include a fast forward speed for excellent productivity, minimal maintenance and a smooth and quiet operation. Versatile, precise and comfortable: The Dennis G860 cylinder mower comes with an extensive range of unique features and benefits. With the interchangeable cassette system; the user has the option of fitting 11 quick changeover cassette including de-thatchers, verticutters, brushes, spikers, and slitters as well as 6 or 8 bladed cutting cassettes. The mower also features a large diameter front roller with an adjustable scraper which has been designed for a precise height of cut control, giving an excellent finish on every occasion. The SISIS Quadraplay is a compact and versatile maintenance system. It can significantly speed up maintenance tasks by carrying out more than one operation simultaneously. This single pass maintenance system incorporates a mounted frame for up to four implements such as: grooming rakes, spikers, slitters, rollers and brushes. 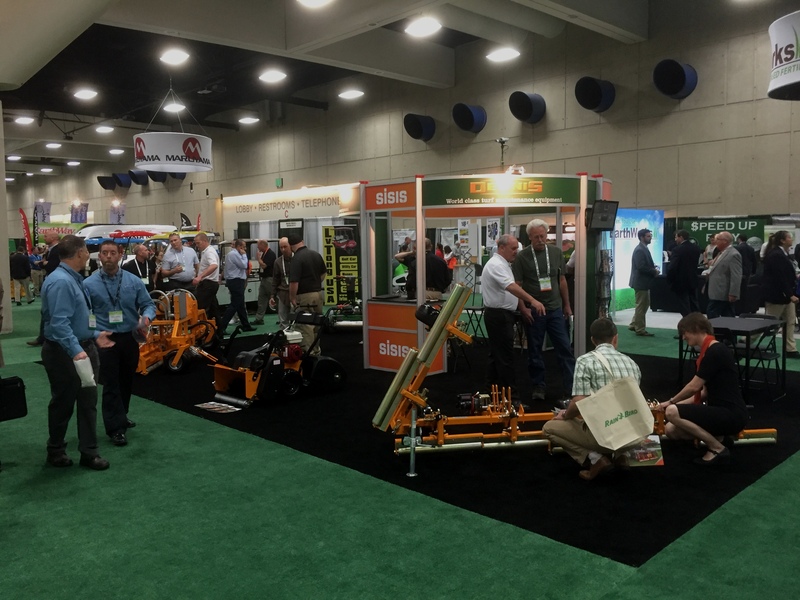 The SISIS Twinplay frame, which enables the user to incorporate two implements, will also be on display at GIS. The company’s experienced and knowledgeable staff will also be on hand to offer valuable advice to superintendents, owners, technicians and other golf management professionals about golf course maintenance and the machinery best suited. Further information about the range maintenance products available can be found by visiting www.dennisuk.com / www.sisis.com.